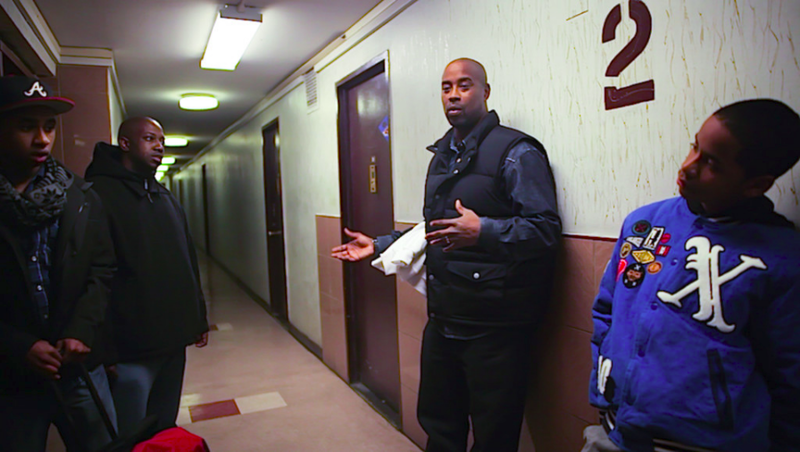 In MR. CHIBBS Ten years after retirement from a career as a professional athlete, former New Jersey Nets draft pick Kenny Anderson (known by his friends by his childhood nickname, Mr. Chibbs) finds that basketball is easy; it’s life that is hard. Still reeling from his mother’s death, the former New York City playground legend, high-school prodigy, and NBA All-Star loses a cherished coaching position, sending him into a midlife crisis. Facing his personal demons head-on, the charismatic Anderson must come to terms with his past in order to find a way forward and lead a happy life after basketball. Montclair Film Festival was delighted to talk to Director Jill Campbell about her biographical documentary. How do you describe Mr. Chibbs in your own words? Jill: It’s the story of New York City’s best point guard, a prodigy, at 46 in a mid-life crisis, trying to figure out the man he is going to be for the rest of his life. What drew you to Kenny Anderson’s particular story? Jill: I am a huge basketball fan, but what drew me was Kenny; what’s going on inside a professional athlete. He was motivated to get his mother out of poverty. He worked 24/7 to get to the NBA, but he did not work on his personal development and so was not prepared to deal with all the craziness and attention of the NBA lifestyle. We meet Kenny when all that is gone. He is left with only himself to figure out the next stages of his life. To me, that was fascinating to show this humble, brilliant, conflicted soul going on that journey. How difficult was it for him to talk about the abuse he experienced during his childhood? Jill: Talking about the abuse was the hardest part of filming for Kenny, but he thought it was important to be honest, because he wants to give back and help anyone else who is suffering and needs somewhere to turn. We have partnered with 1in6.org who counsel men who have been sexually abused. Hopefully we are making a difference and helping people. Kenny’s abuse, is the key to who he is and why he made so many damaging decisions, but of course, when you put it all together, none of this was his fault. He was a product of his environment doing the best he could. He is a champion still striving for greatness, but this time it is in his personal life, not on the court. I know sometimes you can either develop a friendship or a special bond during this type of filming or not so much. Can you tell us currently, how is your relationship with Kenny Anderson? Jill: Kenny and I are good friends. In order for Kenny to open up, we needed to develop a trust. I did not want him to ever feel exploited and we have the type of relationship where we talked through it all. It’s quite wonderful. What do you want the MFF17 audience to take away from MR. CHIBBS? Jill: I want to share the inner journey of a basketball star. I want audiences to not be so hard on their idols, but mainly, hopefully, they will learn a bit about themselves and grow. We are all struggling, and Kenny was brave enough to share that struggle. 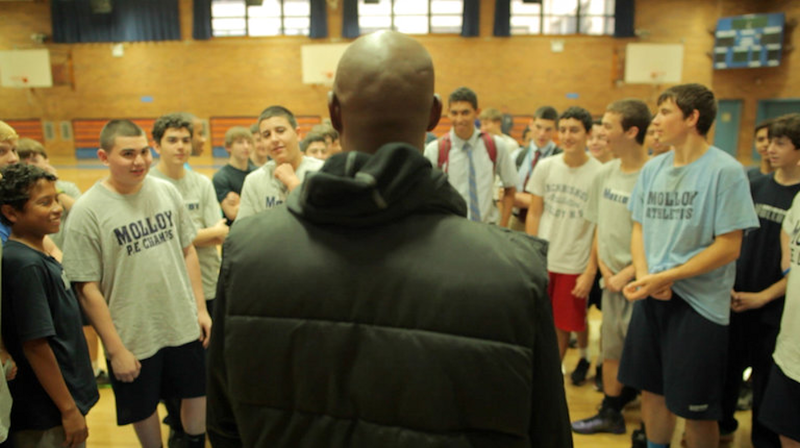 As Kenny says, “He’s a work in progress.” We all are and that’s OK.
For more information about MR. CHIBBS, visit the film’s website, Facebook and Twitter. Interview by MFF Blogger Africa McClain.